That Day I Will Hopefully Be Watching This Movie! My body tingles while watching this trailer, this movie only got cooler because Mark Wahlberg is in it. This time around it doesn’t look like they have to worry about the Decepticons, and is that Grimlock I see, I really hope it’s Grimlock. 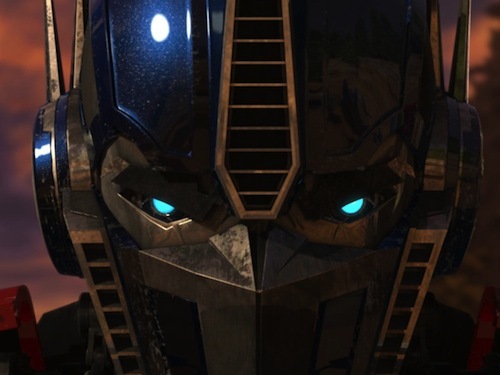 Soundwave is by far my favorite Decepticon, so sure of his calculated actions, and extremely loyal to Megatron, he is the most robotic of the Transformers, no feelings just pure logic and unchanging, and also the most resourceful of the Decepticons. When Megatron wants bruteforce he calls on Shockwave, and when he was ultimate loyalty and missions success then he calls on Soundwave. 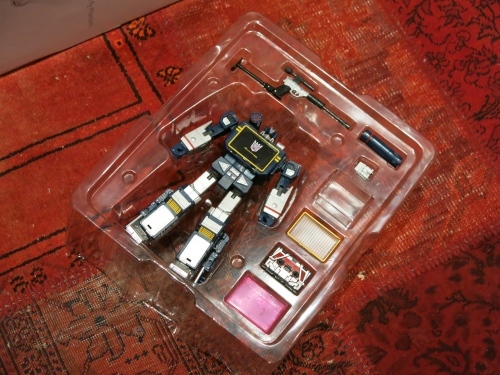 After so long Takara has finally come up with the most realistic and cleanest build of Soundwave that I have seen. 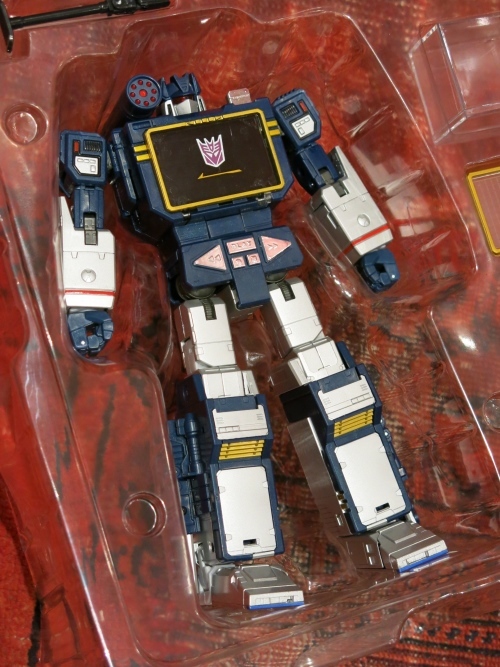 He even Transforms into a big 80s Take deck Stereo. The build is honestly very high quality and really reminds me of the 80s Transformers, and the cool part is that Lazerbeak is really a tape, you can transform him into the buzzard, but I would rather keep him as the tape inside of Soundwave. In his lefthand is a sensor which he uses check around him and certain systems, but his left hand is the interesting weapon. 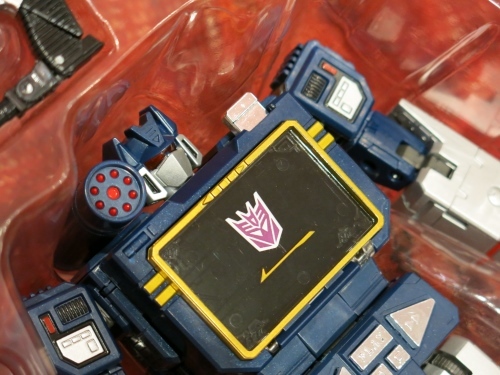 For those who know, the left hand is Megatron in miniaturized form, not just the arm weapon, megatron turns into a hand held weapon and in this case Soundwave is the one wielding it. 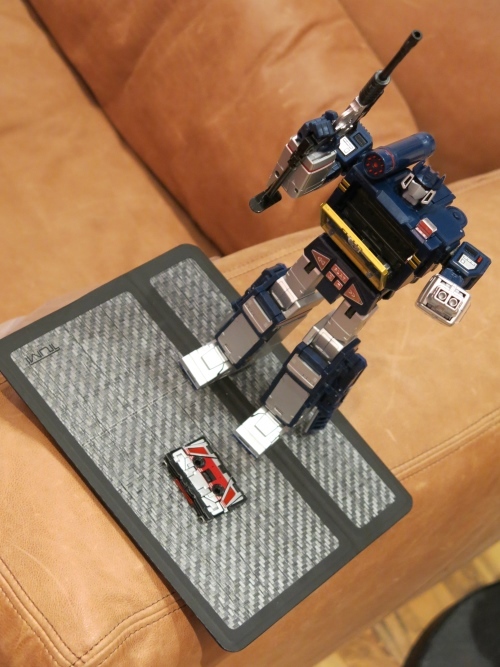 Well worth getting this piece for any Transformers fan. I had to place him with the rest of the Decepticons, the Seekers, in this case they are Star Scream, Thundercracker, and Skywarp. 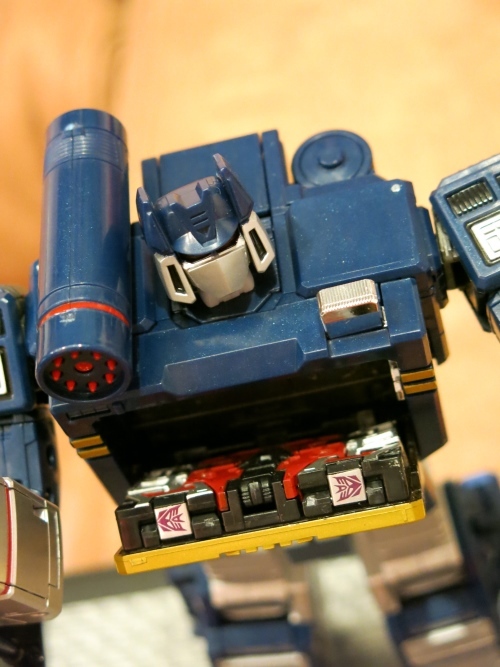 They are three nasty Decepticons, but Soundwave tops them all, and I still think that this is one of the best models from Takara after Optimus Prime. After so long a wait I finally got my hands on the custom Ironhide and Sentinel Prime by Frenzy Rumble. It was well worth the wait, but I hope next time its 3-6 months not over a year, but these are some very cool models. 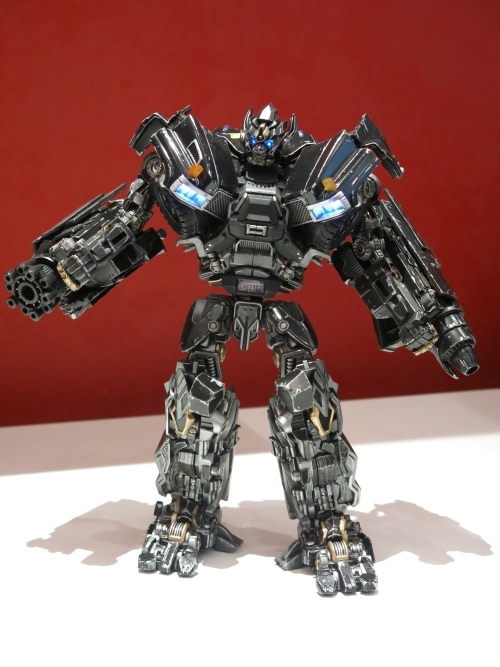 They look battle damaged, Ironhide looks big with those guns strapped to his arms, but I have to say that the detail on Sentinel Prime is impressive, gun in one hand and shield on the other. They are the same scale models from Hasbro and the details were taken to another level by Frenzy_Rumble, he is known in his field and luckily enough I got these two from him. 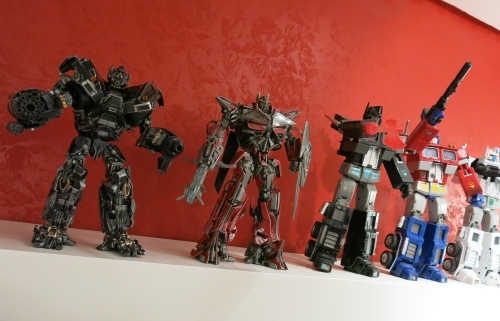 Now Sentinel Prime & Ironhide stand tall right next to my Takara Optimus Prime line up, I love the way they look and the detail that have been put into them. They have LED lights in their eyes and some of their weapons, you can tell that from looking at a few of the pictures. The issue with FrenzyRumble from my previous post in November has finally come to an end, things have finally worked out with Mike. I got my models, and he explained his situation and at the time even offered to refund me the amounts I paid, but I really wanted the models and I was willing to go down that road and so we got to this juncture. 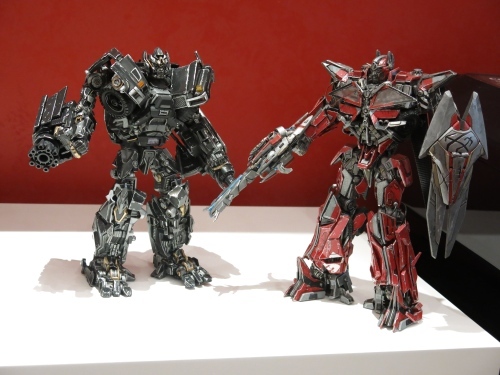 And thankfully I have my Ironhide & Sentinel Prime, and they do look good on my shelf. 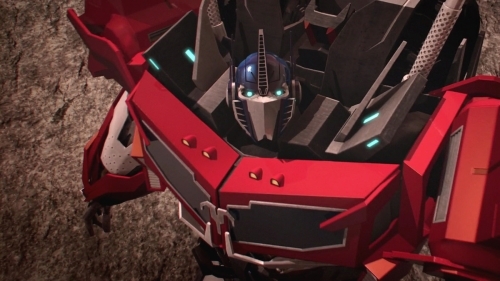 Since being incapacitated I have just had a chance to catch up with Transformers Prime, I had a marathon and I was like a kid eating candy watching this show. Volume set to high and the Subwoofer set to shake the building, every damn episode got better and better. Every episode for the last 10 episodes of season 2 just kept getting better and better. I like that there is a serious tone in this show, Megatron is a real bad guy, not just a funny cartoon evil guy and he does win at times, and Prime is play by Peter Cullin, the same original voice from the original 80s Transformers. Over the past two seasons they have more then proven that there is a depth to the characters and it is targeting both a young audience and those who remember it from the 80s, I don’t feel like I’m watching a kids show because I really get caught up in it and this season was just over the top. 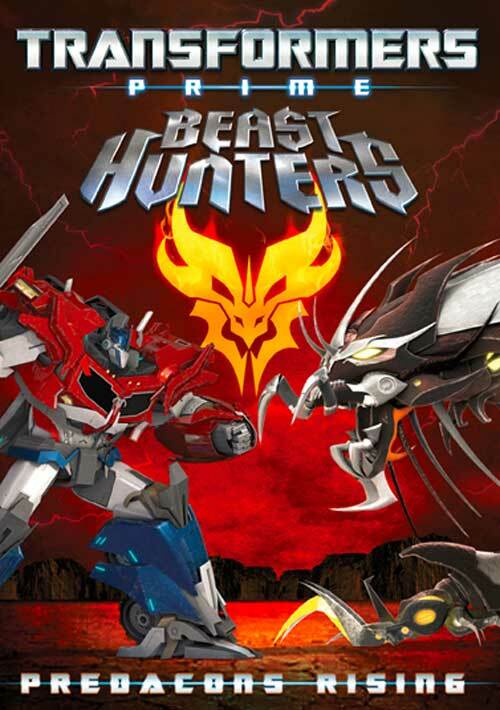 Towards the end things took a more intense twist and the battles got more intense and for once it didn’t revolve around the humans, the Autobots and Decepticons kept going at each other to find the final items. 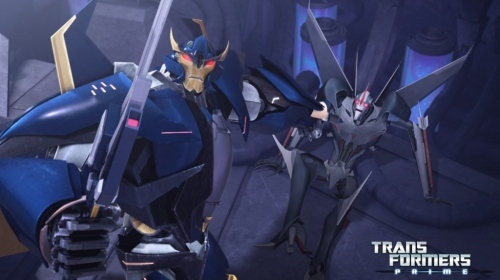 If you are even remotely a Transformers fan, this show is a must watch, it doesn’t disappoint at all and the ending is just over the top, I don’t know what they are planning for the third season I just hope they keep up this pace. This trailer is a homage to the famous scene from the original Transformers animated movie from 1986 when Optimus Prime takes on the Decepticons in Autobot City. In addition, the background music is none other than fan favorite Stan Bush’s “The Touch”. This just couldn’t get any cooler, I really want to get my hands on this game. This just made my day, and listening to Optimus Prime just sends shivers down my spine. Didn’t know that Hugo Weaving was Megatron, it fits that the bad guy from The Matrix is the bad guy for the Transformers. And Peter Cullen is the original Optimus Prime and they used him for the movies, the original and he sounds even better in the movie. 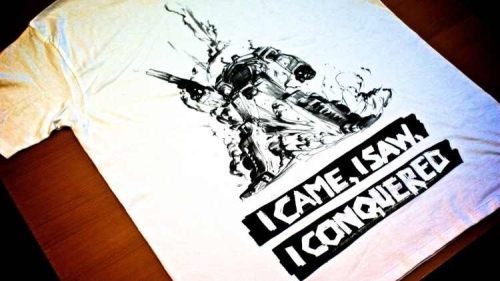 Rocawear, fresh off the success of pairing Jay-Z’s lyrics with Snoopy and Peanuts (not Snoop Doggy Dogg), has collaborated once again, but this time it’s Hasbro’s Transformers. 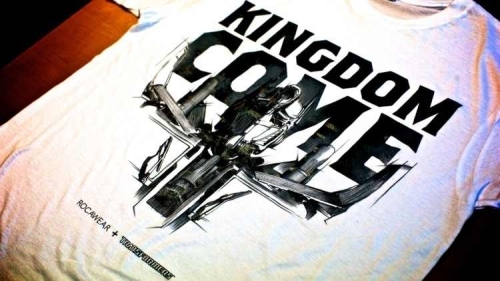 Yes, the box office smash hit has partnered with Shawn Carter’s Rocawear for an offering of a variety of t-shirts. Check out what turned out to be an incredible collision of hip hop energy, autobots and decepticons, we’re sure you won’t be disappointed! As soon as I saw the selection of T-Shitrs from Rocawear with cool collaboration between JayZ and Transformers I had to have them! I love the look of them, I wish they did something on the back of the tshirts as well. 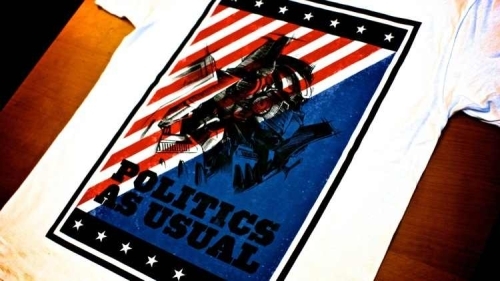 I just couldn’t resist the cool tshirts with Optimus Prime, Autobots, and the other Decepticons on it. I picked up every tshirt they had available I just hope that XL fits me comfortably. 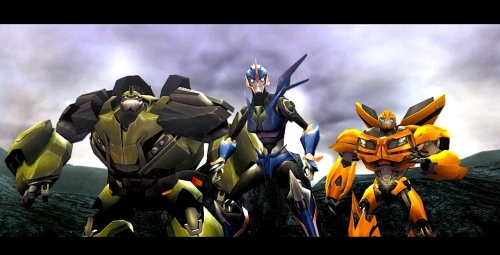 There is no denying that I am huge fan of Transformers and loved the first movie, and enjoyed the second even though it wasn’t as good as I hoped it would be. But Transformers Dark Side Of The Moon or TF3 surpassed my expectations, and sent me over the top. The story was so well thought out that I was seriously caught off guard, I didn’t know what to expect and it blew me away. 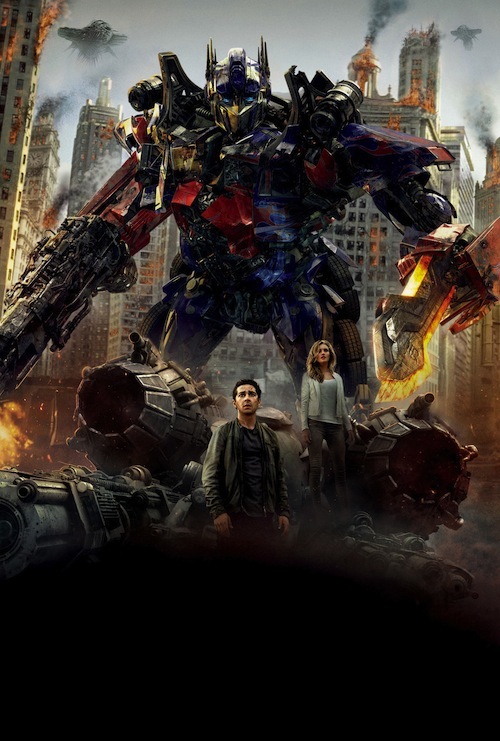 Michael Bay did the whole line of Transfomers justice with this movie, and it really is a movie to end this series on. I am one person who is not happy that the Transformers movies are coming to an end but with this movie it ends on a high note. 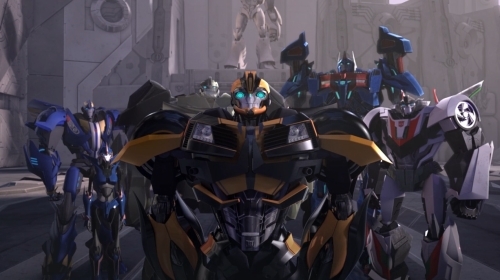 There were some Autobots that are killed and one of my favorites, and dying in a very shocking way, totally unexpected and it just kept getting crazier and crazier. 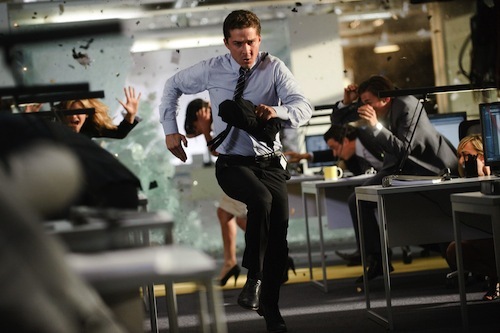 The story got mixed and deeper in a way I wasn’t expecting and Shia LeBeouf really did an amazing job, and as usual Optimus Prime is a leader to follow, and I loved the comedic touches throughout the movie, timed perfectly with the action. So much to love and I was on the edge of my seat at times during the movie and I hope that somebody picks it up even 10 years down the line. For now as a fan of Transformers I am happy and will be watching it again and again for many years to come. I have had this in a box for over two years hidden in my closet, I got the full set of Takara Transformers over the years, getting one model after the other. So to start it off I decided to open the Optimus Prime Convoy MP4, I have always wondered what it would feel like and how cool it would look. I was completely wrong it looked so much better then I expected. 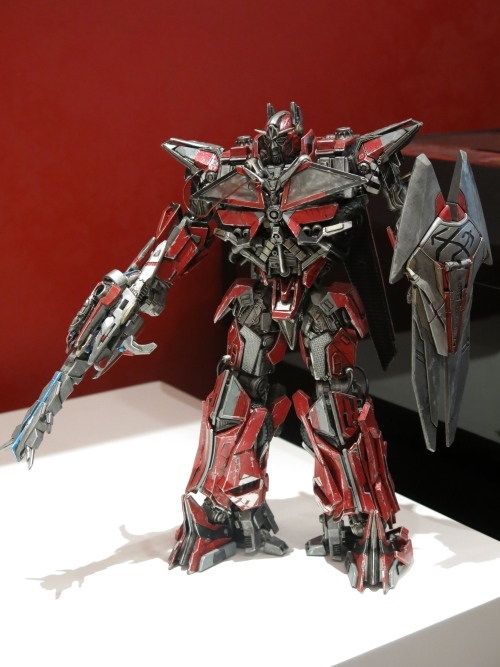 Optimus Prime felt so realistic and heavy, he is made out of PVC plastic and metal. The build quality is better than one expects from a toy model and since I had a few others to unbox later I decided to transform him into vehicle mode which wasn’t too difficult, even though there were a few moments that brute force was required and I didn’t feel like being patient. After 20 minutes Optimus Prime was in vehicle mode and I was extremely ecstatic looking at the set on the shelf, I’m looking forward opening the other boxes soon.